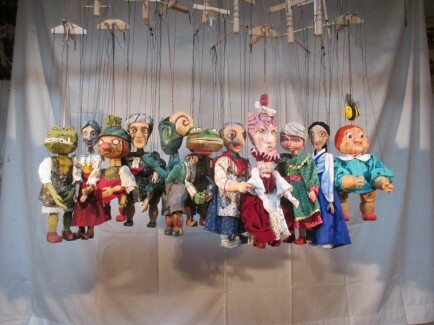 Out of different types of puppetry, marionettes seemed daunting to me. I’ve always loved watching marionette performances and was mesmerized by its life-like qualities and movements. After many years of fear, I’ve finally decided to dabble on the art of marionette. The Marionette Carving Workshop in Prague has been on my wish list for several years and at last, I decided to give it a try. 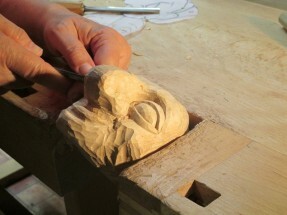 With almost no woodcarving skills, I was a bit worried. (Only woodcarving I’d done before was at Commedia dell’arte mask making course in Italy where we carved the matrix of the mask with wood.) 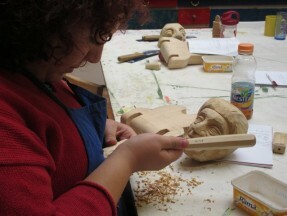 But I figured this workshop would offer me basic skills of woodcarving. 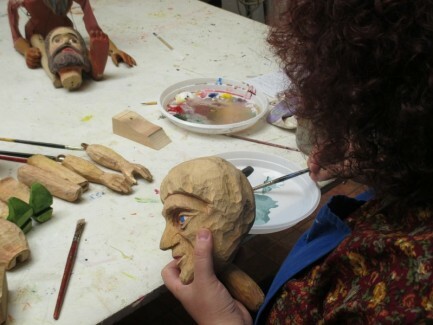 The Marionette Carving Workshop with the Puppets in Prague (PIP) is one of the courses they offer during the year. PIP is organized by Miroslave Trejtnar and Leah Gaffen. 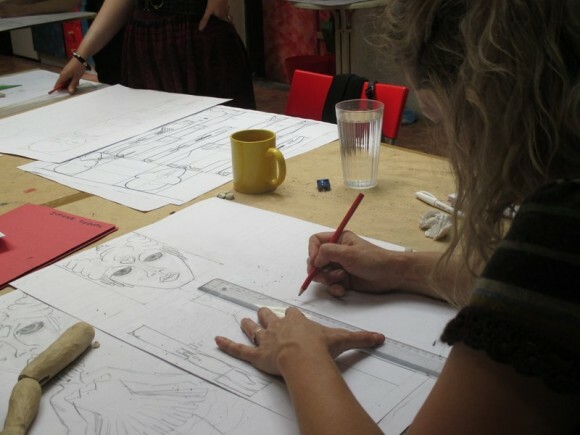 Different artists assist and teach at different sessions at PIP. 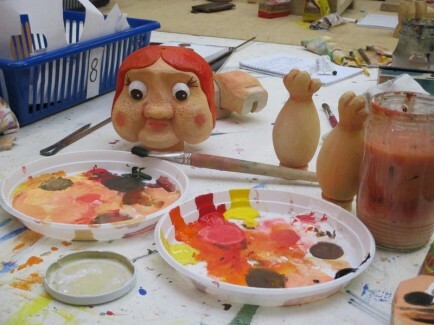 Our course mainly focused on creating a Czech marionette, and we needed to decide which style of puppets to make: rod marionette or string marionette. 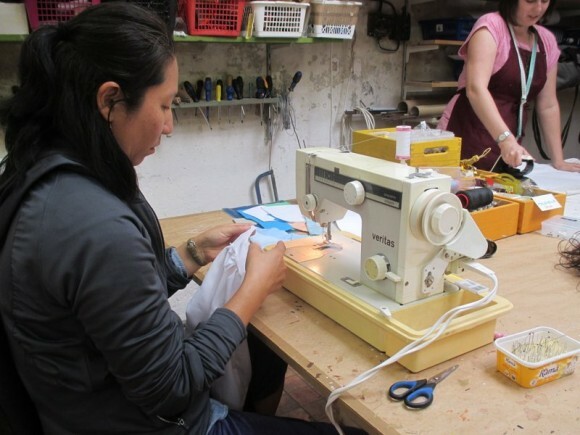 The workshop was little less than 3 weeks and it was packed with many different aspects of puppet construction: technical drawing, carving, painting, and making costumes. 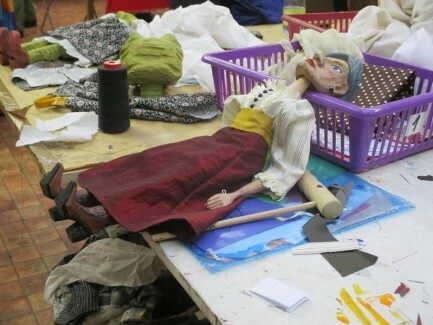 Since our course culminated in a final performance/showcase of our puppets, we also had basic puppet manipulation sessions to create our final performance. 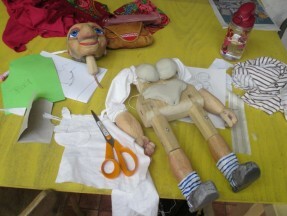 Our schedule was tightly planned to ensure all participants complete their own puppet. Besides our intensive workshop schedule, we had opportunities to see different puppet performances and exhibits on our off-days. Due to the limitation of time and skill levels, puppet parts were prepared for us to carve based on our technical drawings. Several hours of lectures were presented during the course to go over the technical details and different styles and approaches to Czech marionette construction. As much as the lectures were informative, they were not the same as the hands-on experience for me. Because I chose to make a string marionette, the details of constructing a rod marionette is rather nebulous to me. I do wish I knew how to construct rod marionettes on my own. Maybe that would be a reason for me to return to Prague. No matter what, all participants created and completed their own marionette, and the opportunities to see the beautiful city of Prague while making puppets was definitely worth it. 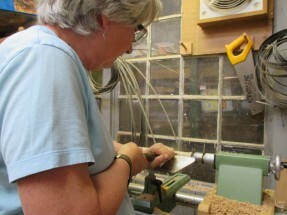 More info on their workshop, please check out their website .